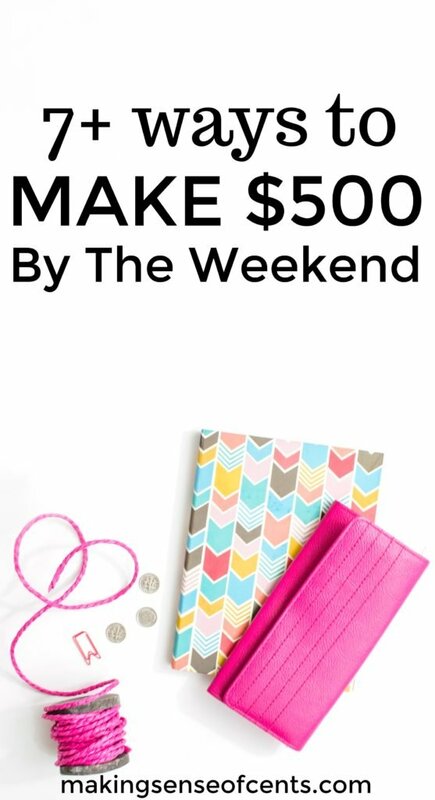 How To Make Money This Weekend - $500+ It Is Possible! Making extra money doesn't have to be impossible. In fact, you can even learn how to make money this weekend! Too many people throw away the idea of making extra money because they think it's difficult, will take too much time, or that it’s just not possible. However, there are things you can do to start making money in one day or over the weekend! 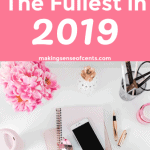 Sometimes unexpected expenses come up and you need to find ways to make money fast. Maybe it’s a car repair, something broke in your home, you forgot about a bill that needs to be paid soon, or something else. 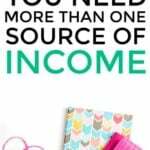 Perhaps you need extra income and all you have left is the weekend to earn it by. It is important to have an emergency fund for these types of expenses, but there are still times when you may need to find ways to make money fast. After all, things come up and sometimes you may not have the cash on hand to cover those expenses. Or, maybe you just don't want to dip into your savings and would like to see what you can do to quickly make some money instead. No matter how small your timeframe may be, there’s probably something you can do to quickly earn a little bit of money. 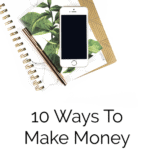 You probably already have a lot of great skills that you can use to make extra money. This could be something like knowing another language, being an expert at running a business, being knowledgeable in math, and so on. If this is the case, which I am sure is true for many people, then you should share these talents with others. Your skills are valuable assets, and I'm sure people would be willing to pay for your expertise! The other day I was on Facebook, and a friend of mine said she was trying to make $500 over the weekend so that she could purchase something she wanted without feeling bad about it. To reach her goal, she offered consulting calls at a discounted price and promoted her skills to everyone she knew. Many people took her up on the offer, and it was all because she used the skills she already had to create a last second service to sell to others. Whatever your skill might be, all it takes is promoting yourself somewhere, like social media, a bulletin board, Craigslist, and so on. By offering your services, you just never know what may happen. Related tip- If you are looking to make extra money by taking surveys, here are the survey companies I recommend: American Consumer Opinion, Swagbucks, Survey Junkie, Pinecone Research, Opinion Outpost, Survey Spot, Prize Rebel, and Harris Poll Online. They're free to join and free to use! You get paid to answer surveys and to test products. It's best to sign up for as many as you can as that way you can receive the most surveys and make the most money. Sell stuff from around your home. Walk dogs and/or pet sit. Rover is a great company to sign up with in order to become a dog walker and pet sitter. 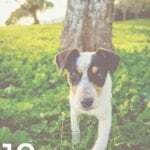 Learn more about this at Rover – A Great Way To Make Money And Play With Animals. Babysit and/or nanny for families. Parents are almost always looking for good babysitters, and they are willing to pay well for a night out. Websites like Care.com and SitterCity.com allow you to advertise your services while letting you see if there is anyone in your area needing a babysitter or nanny. This means that you may be able to find a one-time job or even a permanent babysitting gig by just searching online. When I was just 14, I was making $10 an hour babysitting for a neighbor. I babysat 40 hours a week and it was a great way to make extra money! And, I found this babysitting gig by just looking at the bulletin board in my neighborhood. If you have any special skills or provide extra work, such as cleaning up around the house, teaching the child how to speak another language, tutoring, picking up the child from activities, and so on, you may be able to charge more than $10 an hour. Now, if you think it may be hard to make money this way by the weekend, think harder. Even just a simple post on your Facebook wall may get you in contact with someone needing babysitting services. Moving is a task that most people dislike. Movers can earn a broad range when it comes to hourly pay, but it’s usually somewhere around $50 an hour if you run your own business. To find moving gigs so that you can learn how to make money fast, you can simply post an advertisement on Craigslist, place flyers around town, or tell those that you know. Many people find movers at the last moment, so it may be quite easy to find a quick job. Yard maintenance and cleaning homes is another way to make money in a weekend. You can make money by mowing lawns, killing/removing weeds, cleaning gutters, raking leaves, cleaning someone’s house, and so on. While mowing lawns will require you to have a lawn mower of some sort, you could always do something that won't require much equipment, such as raking leaves. No one likes to do lawn maintenance or cleaning their home. Okay, I guess some people do. But, the majority of people would rather do other things with their time, especially if it's something extensive or dirty. Post a Craigslist advertisement announcing your services. Search Craigslist gigs, as discussed above, and see if there are any available in your area. Post flyers on a local bulletin board. Announce your services on social media, such as your personal Facebook account. Go door to door and see if anyone is in need of your services. 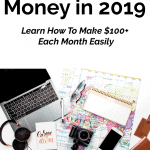 Are you interested in learning how to make money this weekend? Can you think of any other ways to make money this weekend? Selling things probably takes the least amount of work. Just put it on Letgo or a Facebook yardsale group — and it usually goes. It has to be reasonably priced and easy for the purchaser to get it. Plus, you want to make sure you take enough pics for people to see what they’re getting. Another potential source for selling items is if you belong to an HOA. A lot of times they send out email blasts about things going on or if neighbors are selling things. My wife just sold her old bike to someone in our neighborhood for $25. Not a lot but enough for a dinner for our little family! Interesting about the HOA – good to know! I always find it interesting when someone is in need of cash quickly. They tend to be much more willing to do whatever it takes to make that money. But the interesting part is that if they had that attitude on more of a daily basis, they would probably be less likely to be in that position. I say that to myself too. We tend to think we can’t do these extra little things to make money, but if we did, we would be that much closer to a big goal. These are some great tips! Thanks for the ideas! These are great tips, Michelle! I have never found myself in a situation when I need cash quickly but don’t have it since I always save for some rainy day. I have tried to sell things around the house before. Sometimes it works. And sometimes it doesn’t since we don’t have a lot of stuff to begin with. Thanks for sharing! Yeah, we don’t have much to sell because we have gotten rid of so much – completely understand! Awesome tips Michelle, my younger brother could use some of these steps this summer. Selling things around the house is by far my favorite. I was able to make over $600 once. Talk about EXCITED! Great tips, Michelle. One of my favorite pieces of personal advice is that you can only frugal away so much money but you can always try to make more! I want to make money this weekend too! I have lots of old books at home that I can sell to make some extra money. Hmm, then I could use that money to invest in my blog. Excellent list. There are a lot of ways to make extra money. People just have to look for them. I love Rover! Great way to make some extra cash while playing and petting all the cute dogs! Oftentimes people would leave their pups with me for an extended period (one week+) and the money does add up very quickly. Upwork is also one of my favorite to pick up some extra freelance work. My field is finance and real estate and there are quite a few of those jobs! I’m going to use Rover in January and have someone watch our two dogs – it seems like a person could make good money doing this! I don’t recall ever selling anything to make money.. is that weird? Then again, we never needed quick ‘desperate’ cash, so that may be part of the reason. I did, however, make extra money by babysitting, helping the elderly do their shopping and worked as a waitress Friday & Saturday nights for a while (even when I would have rather gone out). Excellent post Michelle. I’m in the UK so am going to go look on Gumtree to see if there are any local job posts as it is similar to Craigslist I think. I’d love to make some extra cash over the weekend – I usually do car boot sales but always good to see what else is available. Thanks for the inspiration to check it out! These lists always make me laugh. I use all of my stuff until it breaks. And I don’t just go buy new anything because I want new. My tv is a 2002 model that we fixed the last time from a youtube video after the first time it was repaired, the guy charged me over $300. We decided in just a little over a year later it started doing the same thing again, we’d fix it ourselves for much less. And we did and it is still working fine. That was several years ago. Sadly, coming up with stuff to sell is always tough. I’ve been saving a ton of jars and containers to sell on ebay to pay for my dog’s upcoming surgery and I recently went on craigslist to scope it out and there was someone just giving away their jars. Ugh. I have organic free-range chickens and I’ve tried selling eggs before and I’d get these wackadoodles that thought free-range meant the eggs were free….. It was all just such a hassle that it wasn’t worth it. People thought the eggs would be free? Weird! I have one unexpected tip about selling your things. If you don’t have anything to sell (or at least you think so) try selling things that belong to your family, friends or neighbors. I DON’T mean to do this without asking them, but seriously I got some nice % last year selling such items when I needed fast cash. Peoplr still have some stuff they don’t need, yet don’t want to “waste their time selling rubbish”. Selling stuff is always my go to if I want to round up some extra cash, it’s usually quick and easy. For me it’s not normally because I desperately need money for something but because I have something I want to buy that’s not in my budget. I’ll make a deal with myself that I can get it but only if I can bring the extra money in somehow. And I’m not sure I’ve ever had a time where I have looked around the house and not been able to find at least one thing to sell. For me driving for Uber or Lyft is a good way to make the extra cash. You would need the right kind of car that is in good shape but you can pick your time and go. I personally add about $200/week and only drive on Monday and Wednesday mornings in my city (Chicago). Great tips Michelle! I’m looking for some additional ways to make some extra cash to put towards my student loan debt. I always look for people who need help around the neighborhood (dog walking/sitting, cutting the lawn, shoveling snow, etc.) as well as freelance writing when I find the time. Thanks for sharing! A good old fashioned yard sale can be so time-consuming but sometimes you can get a few hundred bucks! You can often get better prices on the FB sites but sometimes I get frustrated dealing with all the no shows! It’s amazing how you can come up with money when you really need to. This is a good list to have saved to come back to if you need to. They are also great tips to make some extra cash every month to use for investing!